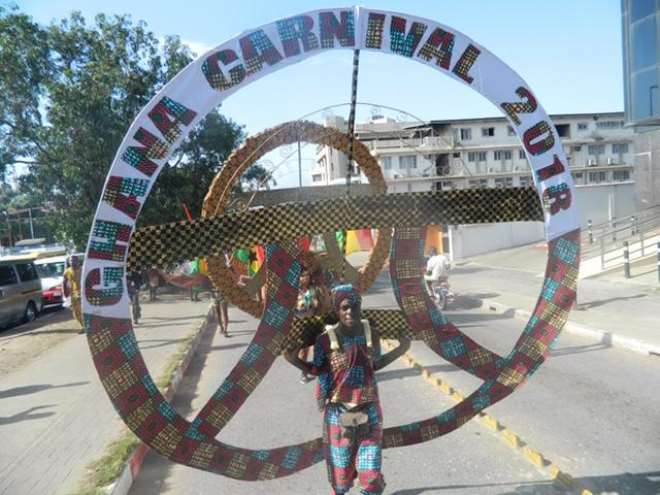 The Ghana Carnival 2018 event took place at the weekend with a lot of promise for growth and expansion into a major festive activity on national calendar, participants and carnival experts have said in Accra. 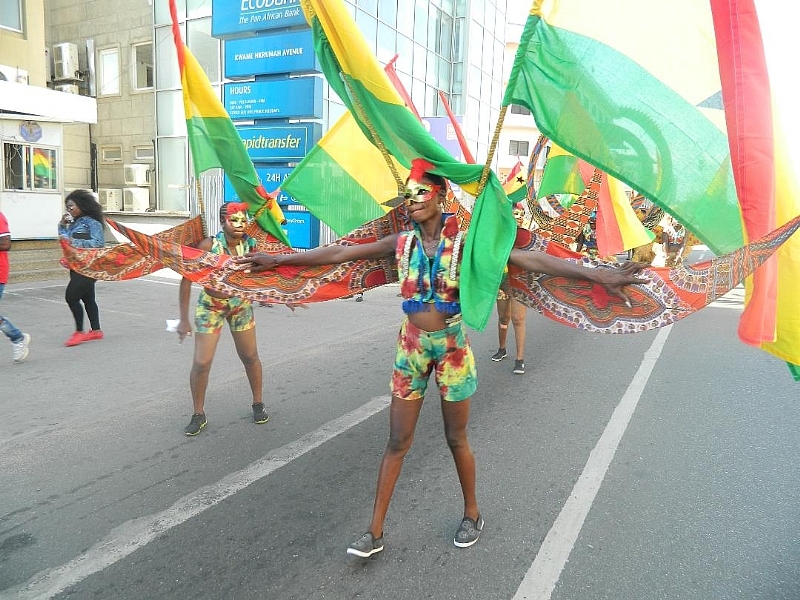 On Saturday, scores of flamboyantly costumed paraders, masked reveller and a caravan of dancing troupes meandered its way across Accra, starting from its line-up point – the Obra Spot at Kwame Nkrumah Circle, through Adabraka to James Town's Mankye Agboona, and on to the GCB Bank and the National Lotteries Authority on the High Street, before cavorting at its finishing point on Oxford Street, Osu. Residents, shoppers and by-standers, many of whom could not resist the urge to join the cavalcade, were stunned by the uncommon kaleidoscope of bright colours, the outlandish parade gear, and the wild costume of the paraders – all of which were designed and crafted from local Ghanaian fabric and drapery. 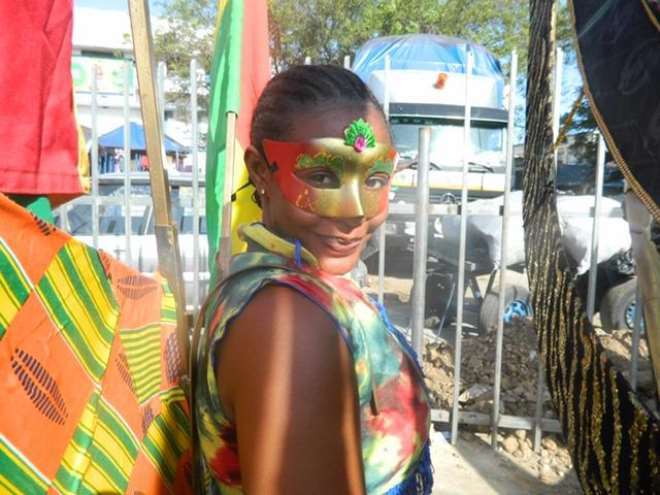 No less than 20 carnival queens commanded the float which drifted along the entire stretch of the route with ball-jugglers, dancers, acrobats and party roisterers having a field day with musical accompaniment from a mix of cultural troupe music, brass band music and DJ sounds. The colourful Mardi Gras was the fourth edition of the national carnival event and was organised by the Ministry of Tourism, Arts and Culture under the theme “Ghana Carnival 2018 – Using Arts and culture to promote the Economy” and was sponsored by Ghana Tourism Authority, the National Lotteries Authority, the GCB Bank, Ghana Airport Company, Accra Metropolitan Assembly and the Daily Graphic. Ministry of Tourism sources say the principal objective for rolling out this year's edition of the Ghana Carnival is to use the event “to diversify the country's tourism and creative arts sectors by highlighting its cultural relevance and building a linkage between the creative arts and other sectors of the economy. It is the Ministry's hope that in full maturity, the Ghana Carnival could become an avenue for creating employment and income opportunities for Ghanaians. “I don't see the cotton candies, the truffles and the bonbons yet, but I see the most important ingredients of a good carnival – the excitement and radiance brought by ingenious and creative parade gear, the colourful costume, the dancers, the jugglers, the acrobats, excellent musical accompaniment and above all an enthusiastic and responsive public,” said a visiting Trinidadian who chanced on the parade at Osu Oxford Street. Although relatively new in Ghana, Carnivals of this nature date way back to the 13th Century in the Caribbean where they have become a major component of their tourism industry. Trinidad and Tobago is highly celebrated as the originator of the modern day carnival since the 18th century, having infused the parade with a lot of native culture, spectacle and traditions. 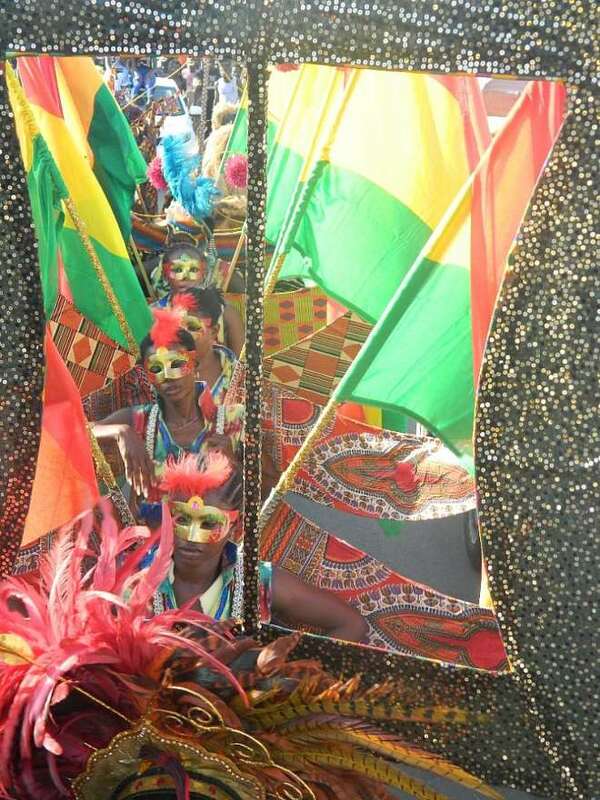 “Clearly, the future looks very bright for the Ghana Carnival,” suggested an authoritative source close to the organisers at the end of the parade adding that this being only the fourth attempt and considering that the edition was plagued with low sponsorship, the general patronage and public response are impressive and commendable. "We very strongly believe that early or immediate preparations for Ghana Carnival 2019 and a more progressive response from Corporate Ghana will transform this social platform into one of our country's most anticipated national calendar events,” the source said. Besides being veritable tourism attractions, popular carnivals have evolved into powerful marketing tools for many corporate and social marketing entities who take advantage of the massive opportunities for brand exposure and visibility and also for point-of-sale activations. The next edition, Ghana Carnival 2019, scheduled to take place just about the same time of the year is tipped to be big and exceptional because it has already been listed by the Tourism Ministry as one of the main items on the “Year of Return – Ghana 2019” celebration.